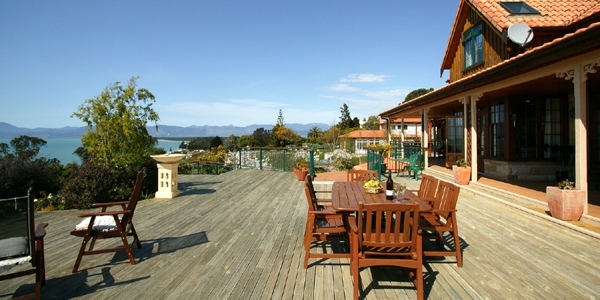 Accommodation located between Nelson and Motueka with stunning views of Tasman Bay. 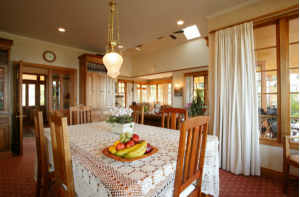 Sandstone house is the ideal place stay a few days and explore the beauty of Ruby Bay, Mapua, Nelson and surrounds. 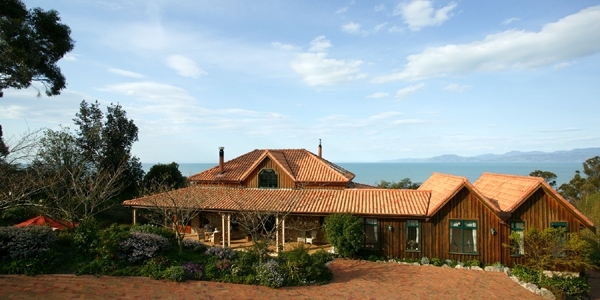 Relax, stay a few days and explore this delightful region of Tasman Bay. We enjoy a maritime and semi-rural situation, ideally situated midway between Nelson and Motueka. We are handy to all the fine attractions that this region has to offer - National Parks, wineries, award winning restaurants, beaches, arts and crafts, the famous Mapua Wharf and lots lots more. We have 40 years local knowledge and are very happy to assist you to make the most of your holiday. Sandstone House is open most of the year but we are closed for the winter months of June, July and August. Guests can enjoy the privacy of their own wing with a separate entrance, and private verandahs opening from both bedrooms. Each suite has a queen bed, writing desk, tea and coffee-making facilities and fridge. You are very welcome to use our BBQ facilities. Continental breakfast provisions are supplied in your room for you to enjoy at your leisure and this is included in the tariff - you are welcome to use any of the outdoor areas to dine and relax. The cafes and restaurants are only a five-minute drive away at the village of Mapua or on the Mapua Wharf and are open early through to dinner. Your ensuite bathroom has a shower, toilet and vanity and includes heated towel rails, robes, toiletries and hairdryer. Laundry and WIFI are available. Enjoy the verandahs, decks and outdoor seating anytime - feast on the views!